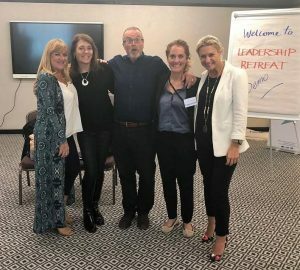 Leadership Coaching joined forces with KEFI Tours to bring a taster of our Corporate and Team leadership retreats to executives and senior level management from top companies across Greece. The synergy between LC and KEFI Tours, one of Greece’s premier travel agencies, brings the most exciting, empowering and transformational executive retreats for 2019! 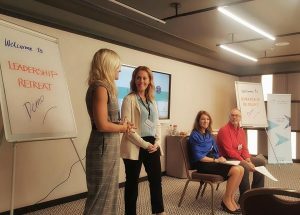 During the 2-days demo retreat, our accredited and internationally established facilitators shared with attendees a sample of tools, skills and frameworks that accelerate the growth of leaders for organisations and corporations of all sizes. Executives, managers, supervisors and team leaders learned powerful methodologies to reach peak performance in the workplace for new generation leadership, effective communication and high performing teams. Attendees included: Eurobank, AB Vasilopoulos, Antenna Pay TV, Vianex, Kallichoron Art Boutique Hotel, PWC, Intracom Telecom, Nova Electronics, , Antipollution, Charagkionis Group, Ecolab, Enel SA, Minerva, Arkas Hellas, Mailis, Seascope, Diana Shipping, V Ships, Teo Shipping Corporation, Thomas Cooper International, Hanergy, SRH Marine, Supereco Tankers, Prisma Electronics, Fraport, Seaworks, Elbisco, Accenture. The LC and KEFI Tours team would like to congratulate the companies that attended for their investment in continuous education for team building! Did you know that retreats can be the catalyst for bringing out the best in your top leaders and positioning your organization to surpass its goals? Find out more about our retreats here. Our expert team of facilitators are senior faculty of the renowned Coaches Training Institute, a leader in its field of leadership development and have trained executives for Fortune 100 companies.